← Revelation: Because the Time Is Near! That is fascinating for two reasons: 1) It shows how accustomed we are to the ordinary. 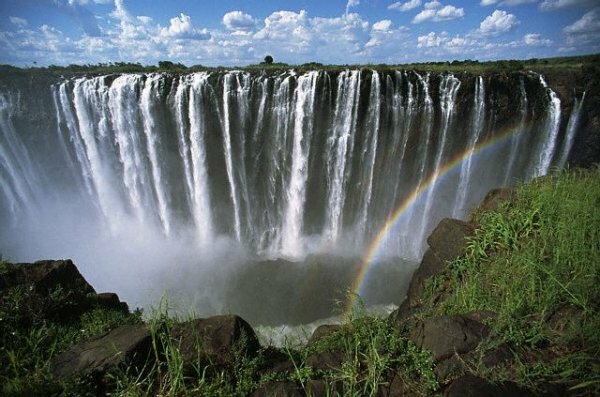 2) It gives us a glimpse of how you and I would react if we witnessed the truly glorious. After all, if people faint from seeing something as mundane as Michelangelo’s David, imagine how we’d react if we came face to face with the Risen Christ! Revelation chapter 1 is a case in point. John the apostle has been banished to the Isle of Patmos for preaching the Word of God, when Jesus suddenly appears to him—altogether holy, glorious, and beautiful. How does John react? He says in verse 17, “When I saw Him, I fell at His feet as though dead!” Why? Faced with the majesty of the All-Glorious Jesus, the only thing anyone can do is fall at His feet in worship. In this, our second study of the Revelation, John pulls back the veil and reveals the Lord Jesus as He really is. No longer is He the meek and mild Savior; now He is the All-Glorious King of Kings and Lord of Lords. 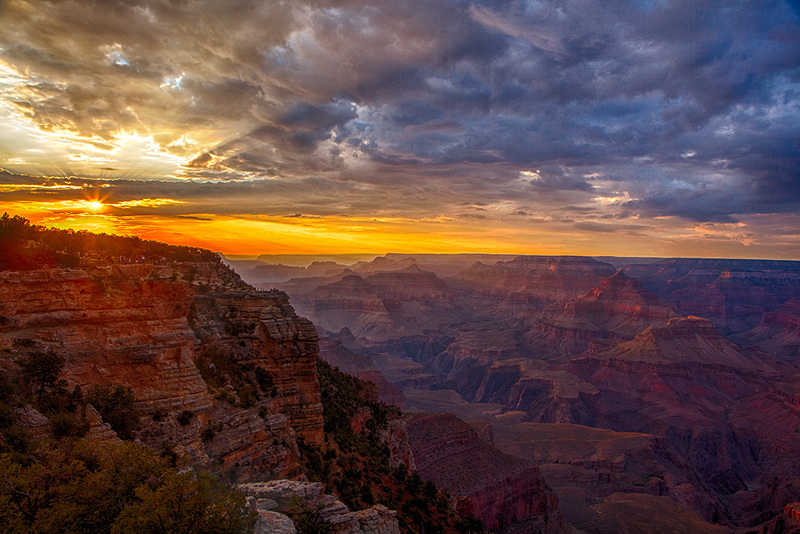 As John tells us what he saw, let the majesty of Jesus fill you with awe. 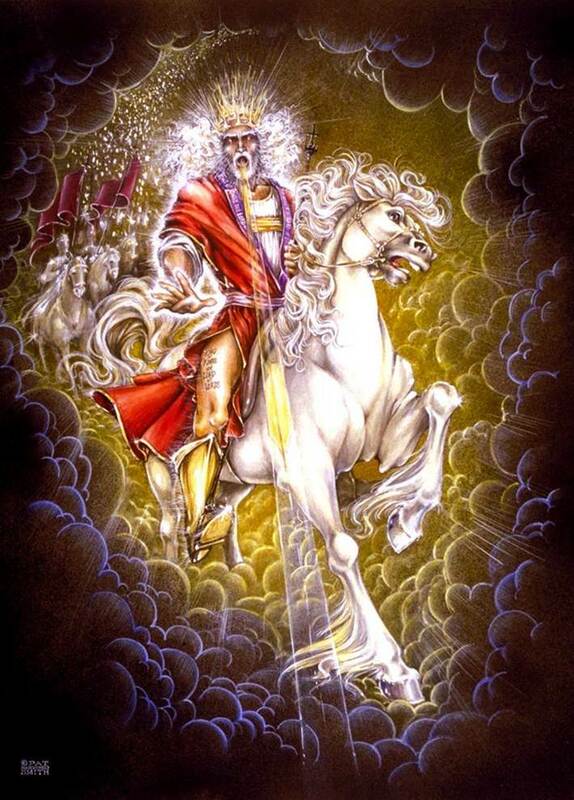 Four facts stand out about Him in Revelation 1:12-20. Verse 12 begins, “Then I turned to see the voice that spoke with me. And having turned, I saw seven golden lampstands, and in the midst of the lampstands One like the Son of Man.” Two things to notice here. First, notice what John sees when he turns toward the voice speaking to him. He sees seven golden lampstands. What do they possibly represent? There is no need to wonder because Jesus explains it in verse 20, “The seven lampstands which you saw are the seven churches.” That’s a fitting symbol for a church, isn’t it? For just as a lamp is not the source of the light it gives off, but gets its flame from the oil burning inside it, so you and I have no glory of our own. Instead, where do we get our light? We get it from Jesus, the Light of the World who commanded His disciples, “Let your light so shine before men, that they may see your good works and glorify your Father in heaven.” So yes, Jesus is the Light of the World, but it is through the churches, His lampstands, that He makes His glory known. That raises the question. What kind of light are you giving off? Is it bright enough for others at your workplace to see? Or what about your neighbors? Can they see the likeness of Jesus in you? Several years ago I met with our church’s nominating committee to consider new elders and deacons. Someone suggested the name of one of the sharpest and most successful men in our congregation. But right away someone nixed his nomination. Why? They said a friend of theirs ran a store in town and whenever this man came into his shop, he acted like a “jerk,” cursing about this or that. The friend said, “If that’s what the people at your church are like, my family and I will never attend one of your services.” Anyone, of course, can have a bad day. But apparently this was a habit, reminding me that people are watching! And if we say that we are Christians, they’re expecting to see a reasonable likeness of Jesus Christ in us. 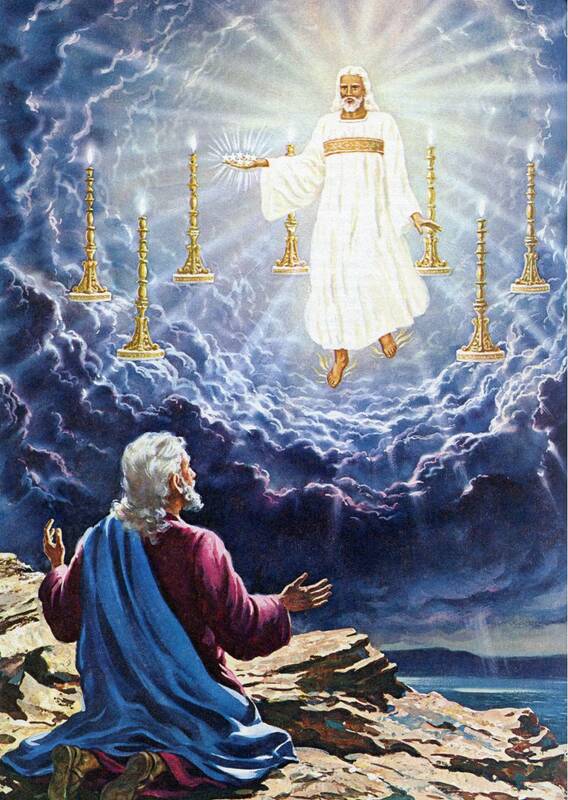 Even more important, however, is where Jesus is in relation to the lampstands. Verse 13 says He is “in the midst of them.” This signifies two truths about Him. First, His presence with us—that He will never leave us nor forsake us, but is with us until the end of the age. 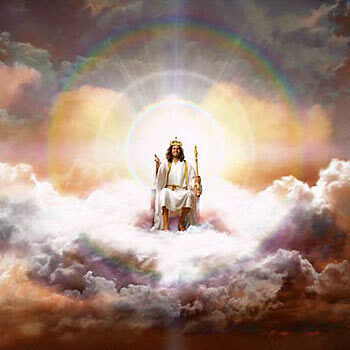 For even though Jesus has ascended to His throne in heaven, He is still with us in the Person of His Holy Spirit. And not only is He with us, He’s watching us. 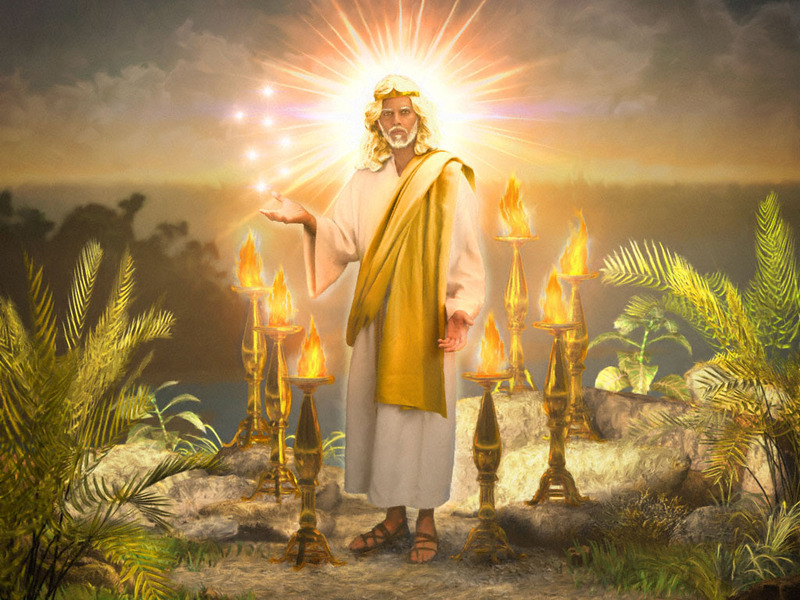 This is the point of Revelation 2:1, which says He “walks in the midst of the seven golden lampstands.” This is not a leisurely stroll He is describing; it is our Commander-in-Chief inspecting His troops, listening to our worship, watching the way we do business, and examining the thoughts and intents of our hearts. Even in the heated atmosphere of a business meeting, we need to remember that Jesus is with us, watching what we say and how we say it. So be careful what you say and do! Second, it emphasizes His centrality. Throughout the book of Revelation, Jesus is pictured at the center of everything. Here He walks in the midst of the seven churches. In chapter 4, He is the center of Heaven’s worship. In chapter 6, He becomes the source of the world’s future judgment. 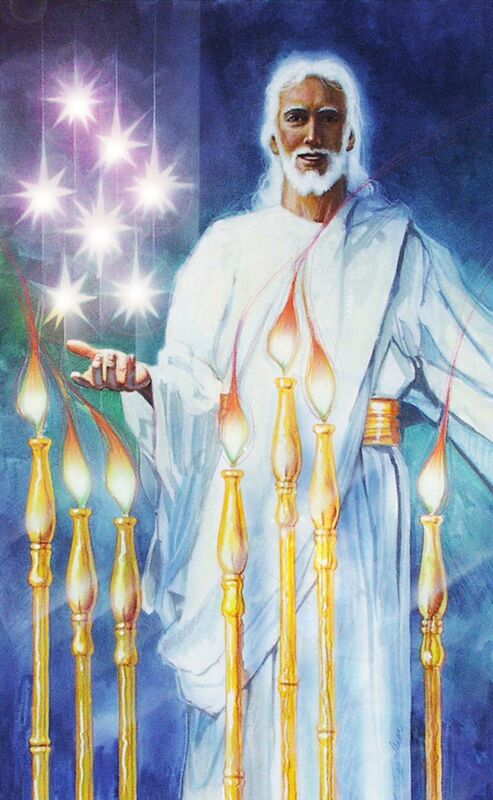 And in chapters 21 and 22, He becomes the Light and Temple of the New Jerusalem and the new heavens and the new earth where righteousness dwells. So an appropriate question to ask is: Is Jesus Christ the central focus of your life? If He is, what difference will it make? Certainly, it will lead you to spend daily time with Him in Bible study and prayer. It will also make you more faithful in serving the church to which you belong. But most telling of all, it will affect the decisions you make as a mother, a father, a student, an employee, a neighbor, and a citizen. Simply stated, when you realize that Jesus is present in every part of your life, it will radically transform how you think and what you do. Are you familiar with this illustration from Campus Crusade? The first circle represents a person who has given Christ center place in his life. Self has been dethroned and Christ is in charge, bringing him joy and fulfillment by putting all things in their proper order. But there is a second possibility for the Christian, illustrated by the second circle. Christ is in this person’s life, but He is not in control. Self is on the throne making the decisions. As a result, life is filled with chaos, frustration, and discouragement. Everything is out of order. Why? Because you and I were never designed to be the masters of our lives. Which circle represents your life? The good news is nothing prevents you from enjoying the abundant life Jesus came to give you. All you need to do is yield to Him the same place He enjoys throughout creation. Will you step down from the throne of your life and give Jesus control. My prayer is that you will do that right now in the quietness of your heart. Doesn’t that make you feel secure? Jesus offered Himself as the complete payment for your sins, crying out from the cross, “It is finished! Paid in full! Nothing more need be done!” But He also loves you so much that He is praying for you before the Father’s throne, ensuring that nothing will ever steal your salvation. It reminds me of Jesus’ words to Peter before his temptation and fall. “Simon, Simon, behold, Satan has desired to have you, that he may sift you like wheat: but I have prayed for your, that your faith should not fail.” If you are a disciple of Jesus, that is what He is doing for you each and every moment of your life as your royal high priest. He is at the Father’s right hand praying for you, that your faith may not fail. Notice also the color of Christ’s hair. Verse 14 says, “His head and His hair were white like wool, as white as snow.” Again scholars disagree. Some say it is a symbol of His purity or wisdom. Surely both are true. But Daniel 7:9 gives the best explanation for this symbol. In describing the Messiah, it says, “His garment was white as snow, and the hair of His head was like pure wool…I watched till thrones were put in place, and the Ancient of Days was seated.” This, then, is a picture of Christ’s eternity, ruling forever and ever as our Lord and King. Have you recognized this about Christ? That He is God in human flesh? Most religious people are happy to call Jesus a great teacher or a mighty prophet. Mahatma Gandhi, the holy man of India, openly declared his admiration for Jesus and said he was glad to give Him an equal place with Buddha, Confucius, and Mohammed. But he said, “I cannot place Jesus Christ on a solitary throne.” Yet, that’s what Jesus demands. He demands that we give Him the throne of our lives. For He is more than a prophet or a teacher. He is God incarnate, co-equal with the Father and deserving of your worship and obedience. Jesus said in John 8:24, “If you do not believe that I AM (the Old Testament name for God), you will die in your sins.” So bow your heart to Him today. Remember Doubting Thomas’ reaction when He saw the Risen Christ. He fell at His feet saying, “My Lord and my God!” (John 20:28) You need to do that. You need to recognize who Jesus is and give Him the worship He deserves. This is a symbol of His perfect knowledge and judgment. Often we fool ourselves pretending that Christ doesn’t notice the little compromises we make with sin—things we read, things we watch, the ways we talk, and the ways we spend our money. But we’re wrong! As Hebrews 4:13 reminds us, nothing escapes His notice, for “all things are naked and open unto the eyes of him with whom we have to do.” So the challenge is to hide nothing from our Savior, but to confess all our sins to Him, asking for forgiveness and the grace to begin again. Do you know the song we teach children in Sunday School? It’s true for adults as well. O, be careful little hands what you do. O, be careful little hands what you do. For the Father up above is looking down in love. So be careful little hands what you do! Notice also Christ’s feet. Verse 15 says, “His feet were like fine brass, as if refined in a furnace.” In other words, they’re red hot and ready for judgment. That is what furnaces picture in the Bible. They are symbols of judgment. Remember the fiery furnace into which Shadrach, Meshach, and Abednego were cast? The same is also true of feet. The way that a conquering general demonstrated his power and victory over an enemy was by placing his foot on his neck. Is there anything more like that mentioned about the feet of Christ in the book of Revelation? Yes! Notice what Revelation 19:15 says the feet of Jesus will do. First, it says He will rule the nations with a rod of iron, and then it adds, He will “tread the winepress of the fierceness and wrath of Almighty God.” To sum up, then, what does Christ’s appearance to John picture for us? His eternal power and glory as earth’s coming King. Now notice a third fact about Him. Today our ears are assaulted by the foolish babble of arrogant men trying to impress ud with their wisdom. But one day soon Jesus will return, and when He speaks, all other voices will be silenced in His presence. “For,” Isaiah 11:9 says, “the earth shall be full of the knowledge of the Lord, as the waters cover the sea.” In other words, what Jesus says will be the only topic of interest in that day. So let me ask you. Whose voice are you listening to today? The voice of the political pundits and late night comedians? Or are you faithfully studying what God says in His Word, eagerly responding to the promptings of His Holy Spirit? So, if these are not heavenly angels, what are they? Most Bible teachers agree that it is a reference to the pastors of the seven churches. I like what the late J. Vernon McGee wrote: “I like to think that it refers to the local pastors. It is good to hear a pastor called an angel; sometimes we are called other things.” If this does refer to the pastors of the churches, it should be a great encouragement to church members. Why? Because of where they are—right in the center of Christ’s hand. Which implies that as faulty and flawed as we are, Christ is in control of us, and when you pray for us, your prayers make a difference. Finally, notice how John describes the face of Jesus. He says that looking into the face of the glorified Christ is like staring into the “sun shining in its strength.” Have you ever tried that? To stare into the brightness of the sun? How long could you do it? It’s actually not a good idea because it can damage your eyes. But that is what the disciples saw on the Mount of Transfiguration. (Matt. 17:2) Jesus was transformed before them, so that “His face shone like the sun, and His clothes became as white as the light.” It was so overwhelming that the disciples, like John here on the Isle of Patmos, fell on their faces in worship. Why? Because the face of Christ is simply the most glorious sight that human eyes can see. 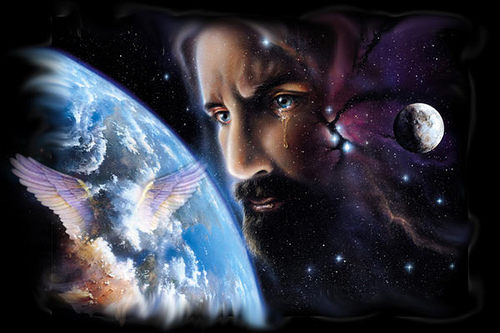 Revelation 20:11 says it will be so glorious that heaven and earth will flee away from Him in terror. But that is not His desire for us. Instead, His desire is to comfort the Apostle John saying in verse 17: “Do not be afraid; I am the First and the Last. I am He who lives, and was dead, and behold, I am alive forevermore. Amen.” Maybe this is what John was looking back on when he wrote, “There is no fear in love; but perfect love casts out fear, because fear involves torment. But he who fears is not made perfect in love.” Just as comforting is His statement, “I have the keys of Hades and Death.” In popular culture, the devil is in charge of hell. But Jesus corrects that misconception. The truth is that the devil is just a creature, whereas Jesus is the Creator in control of everything that happens in His universe. Therefore, if we belong to Him, we never need fear death or hell again. Those of you involved in jail ministries can appreciate this. Once that door clangs shut behind you, you want to be sure the jailer remembers you and that your name is on his list. Why? Because he is the only one with the authority to let you out. Similarly, we who belong to Jesus Christ don’t need to fear death anymore. Why not? Because He holds the keys to both death and hell. And finally, consider one more fact about Christ. In verse 19, John is given an assignment: “Write the things which you have seen, and the things which are, and the things which will take place after this.” To miss what John is told here is to fail to understand everything else that is written in this book, for this is the key verse and outline for everything that follows. To summarize it, John was told to write about three things: (1) “The things which you have seen.” This refers to his vision of the glorified Christ in chapter 1. 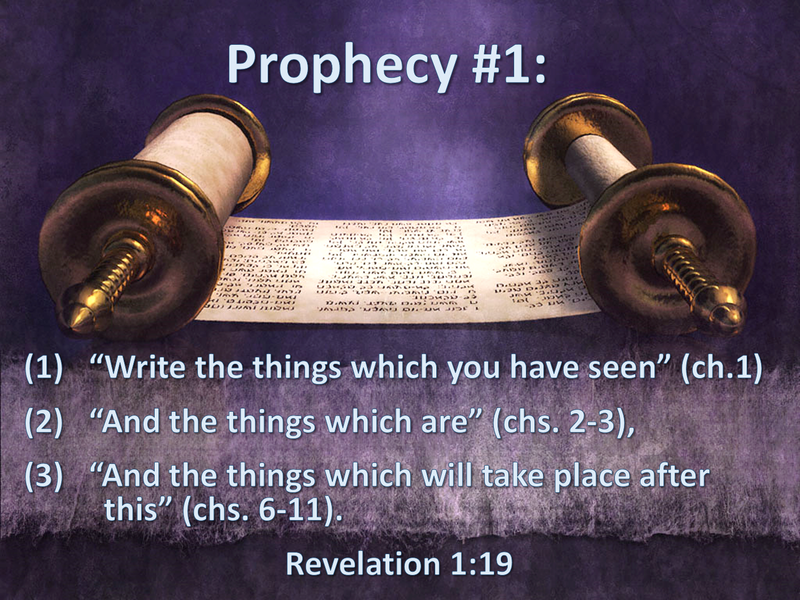 (2) “The things which are.” This refers to the events of the seven churches which he will address in chapters 2 and 3. This part of the outline will be helpful when we try to decide when Jesus is returning for His church—whether it’s before or after the Tribulation—for in chapters 2 and 3, much is said about the church on earth. But in chapter 4, when John writes about (3) “the things which will take place after this” (the third division of the Revelation), nothing more is said about the churches on earth. This should make us wonder. 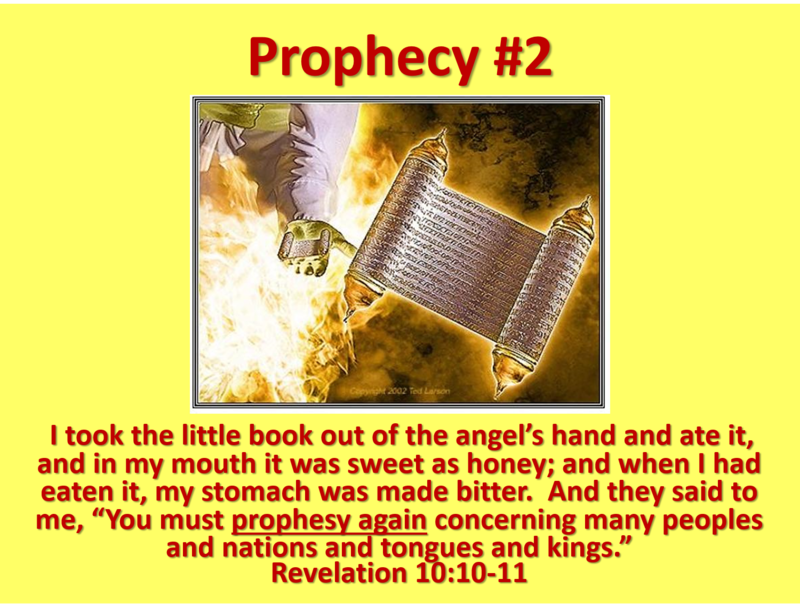 If the church is still on earth during the Tribulation, why is there nothing more said about it until the Bride of Christ is mentioned in Revelation 19:7-10? It happened one spring day just prior to the Civil War. A young man stopped by Wrothy Taylor’s farm looking for work. The farmer knew nothing about him except his name was Jim and he claimed to be a hard worker. So he gave him a job milking cows, cutting fire wood, and doing other odd jobs. Jim ate in the kitchen, slept in the hayloft, and as summer passed, found himself falling in love with the farmer’s daughter. So he summoned up the courage and asked him, “Mr. Taylor, may I marry your daughter?” “No,” was his reply. “You have no name, no money, no prospects for the future.” And he roughly sent him away. Thirty-five years later, the farmer decided to build a new barn. So he tore down the old hayloft where Jim had slept. 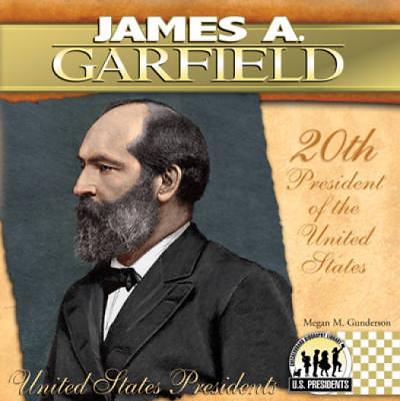 And there wouldn’t you know it, the farmer found that Jim had carved his full name on one of the rafters—“James A. Garfield”—who went on to become the 20th president of the United States. We tend to overlook the meek and humble, regardless of what might lie beneath the surface. That is especially true of the One many of us worship today. For 20 centuries, mankind has seen Him as the ever-patient Lamb of God, slain for sinners. But that perception is about to change. Jesus is coming soon, and when He does, we will see Him in all His glory. What will be our reaction? We will fall on their faces in worship, confessing that Jesus is Lord to the glory of God the Father. But it will be too late for salvation then. Today is the day of salvation! So if you have not yet given Him center place in your life, do so today. It will bless you both for time and all of eternity! This entry was posted in Uncategorized and tagged angels, Apostle John, Christ, Church, Devil, forgiveness, glorified, Glory of Christ, God Incarnate, Jesus, Lampstands, Light, Lordship of Jesus, Patmos, President Garfield, Revelation, salvation, Saved, Victoria Falls. Bookmark the permalink.